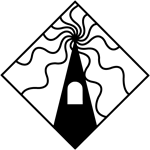 Tower of Chaos Press is a small, independent publisher based in Hampshire, England. We publish Science Fiction and Fantasy, because that’s what we like reading. As we’re starting small, we are initially concentrating on short stories and novella length fiction by my partner Jaine Fenn. Hopefully we will be supporting other authors and longer work in the near future. But we are not looking for submissions at this time. That’s the thing about towers, they need firm foundations.